This Sweet Potato Chips Recipe is here to curb your chip cravings with a healthier and allergy safe option. Sweet potato is such an exotic vegetable. It has become incredibly popular in the last few years, and with good reason. It is sweet but savoury, devilishly moor-ish and so good for you. 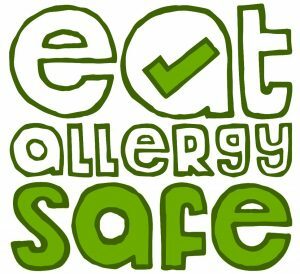 Over the last year we at the Eat Allergy Safe kitchen have been working on how to make the best sweet potato chips. We feel it is a tough job, but someone has to do it! The questions we considered were: Chunky or thin chips? What’s the best fat to cook sweet potato chips in? Seasoning or no seasoning? We found the most important aspect of our sweet potato chips recipe was the oil. Hands down, coconut oil is the best oil for cooking sweet potato chips, wether you are frying or baking. Unlike any other fats, and we tried many (olive oil, butter, lard, veg fats etc), coconut oil didn’t get absorbed by the potato as much as any of the other oils and this helped the outside to go a fabulously crispy texture! On the seasoning front, less is more. Salt and pepper brings out the sweet potato flavour and we are always partial to a bit of thyme. You can always get creative with some paprika or cumin though. The recipe below, we feel, is sweet potato at it’s best. It’s easy, simple and best of all quick! So you can get munching straight away. Great to add to the family roast dinner menu, perfect as a side for burgers or sausages, or just fantastic on their own for when you need a snack. Adults and children alike will devour these beautiful chips, you might have to make a whole huge bowl of them..! If you are baking your chips, preheat your oven to 170C for a fan oven. Slice the sweet potatoes in half length ways. Then slice the halves of sweet potatoes length ways to make chip shape pieces, these will be roughly 0.25cm in width. Heat the dollop of coconut oil in a big low sided frying pan (you’ll need one with a lid) on a high heat. Add the salt, pepper and thyme to the oil. Once the oil has melted, add the sweet potato chips to the pan. Stir until all the chips are evenly covered in oil. If you are baking your chips, transfer to a baking tray and put in the oven to bake for 30-40mins and put your feet up. If you are frying your chips. Leave the chips in the pan. Turn the heat down to medium and then pop the lid on. Cook with the lid on for about 5 minutes until the first side has browned. Turn the chips over so the next side can be cooked. Pop the lid back on the pan and cook again for a further 5 minutes on a medium heat. Once this side has cooked, take the lid off and turn the chips again so that all the chips have been cooked on all sides. Leave the lid off and continue to fry until the chips are crispy and cooked all the way through. Should take a further 5-10 minutes. To check the chips are cooked, using a knife skewer one of the fatter chips, if the blade goes in and out easily they are cooked. Enjoy with a salad, burger or roast meat and a nice drink! Did you enjoy our Sweet Potato Chips Recipe? Please leave us a comment below.